I have a question - how close are planes allowed to fly when their paths are about to cross? I am sure there are proximity warnings and what not but I also know those accidents happen, even if not that often. I was on board of a KLM flight from Amsterdam to Madrid and sometimes in the later part of the flight, if I recall correctly, another plane, flew just below us. Of course, I imagine human vision, mine included, is probably not the most reliable source. However, I saw the plane and in less than 1 second it speeded right below us, so I imagine that it was quite close. However, I felt no turbolence after it passed. Given that description, can you let me know your thoughts - how close in reality it was? Of course if it helps, I can give you the flight number and day. Your plane was at least 300 meters above the aircraft you saw. The limits are determined by the altitude and capabilities of the aircraft. 29,000 - 41,000 ft (where there is RVSM (Reduced Vertical Spacing Minima)), the minimum separation is 300 meters, but the aircraft have to be equipped with specific instruments. Most modern airliners are equipped to fly in RVSM approved airspace. You won't feel turbulence unless you are flying behind an airplane, or you fly into an airplane's wake. Turbulence happens in disturbed air and this is usually behind the airplane's wingtips. 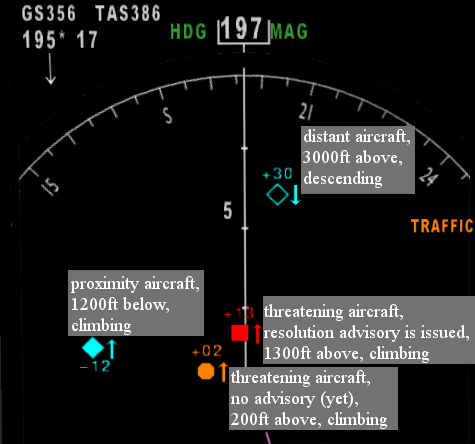 All modern airliners are equipped with TCAS (Traffic Collision Avoidance System); which consist of visual indicators on the relative position of nearby aircraft. No closer than 500 feet above or below, and more likely 1000 feet if both were commercial flights. Side by side, they'd be much farther apart. At airports with parallel runways, both are used by the planes are staggered in time so they don't end up side by side. You wouldn't feel turbulence from a plane below you. There might have been some turbulence for him from your plane's wingtip vortices descending if they passed behind your plane's wings. What is the minimum distance allowed between planes in flight, in Europe? Does EASA (or other regional/national aviation safety authority) have a confidential “close-call” reporting system? Are ETOPS rated planes denoted by a placard or other indicator? Is Jetman flying above other aircraft allowed? How it is possible? Are airliners searched after each flight? How do aviation regulatory bodies relate to each other?